Tell us about how you guys got together during your course? Jack: "Kris and I had known each other before college for a few years but apart from that we all came together here. I think Ryan was the first person I connected with musically on the course as we both dig a lot of the same bands." Kris: "We ended up botching together for a charity show that the Level 2 Production course guys were putting on at The Tunnels. We weren’t all originally in the same group on the course but we were all brought together in the end. It’s not really a long story to tell!" Ryan: "As students we played at The Exchange together before the charity gig but as Stone Theory our first real gig was The Tunnels gig. Something just clicked between us all, an instant cool reaction from those there and we thought ‘Right, let’s do this’ as we believe we have something to say." You’ve been clocking up the shows over the last year, what have been the highlights for you? Kris: "I’ll always remember playing a street party on Denmark Street, that was a lot of fun. Playing at The Stag and Hounds is always cool and we’re playing there for Stagfest April 14. It’s a shame that it’s shutting. Another live music venue going down due to developers." Ryan: "We’ve played a lot of shows for only being together for a year. The Fleece supporting international touring bands such as Hells Bells and Bob Log III, we’ve played in Bath, Wales, Tewkesbury...playing the headline slot at Hendra Croft Harvest Festival in Newquay was amazing with such a great crowd, great people and we were so well looked after. We’ve been asked back for this years one end of September so get on down for that." 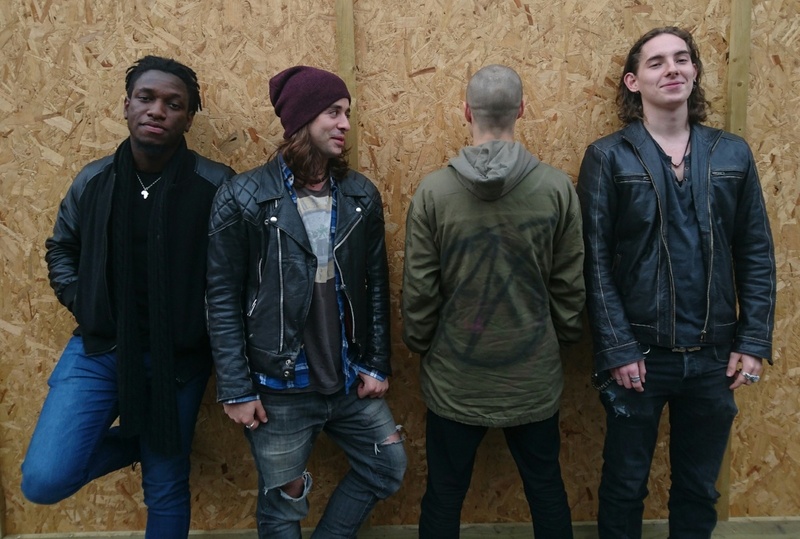 Jack: "We’re headlining a show at The Bierkeller soon which is so cool as they’re great bands and the ‘Keller is steeped in rock history and a venue we all really wanted to play at as soon as we started things off." On the Performance course, what have been the things that have stood out for you? Temmy: "The Sound and Music Industry and Production units I got a lot out of. It’s also been cool to have somewhere I can come at pretty much anytime to practise, rehearse and record with the guys and others I play with as it’s so expensive to do it elsewhere. It’s also given me a larger network as I’m from London and play there a lot with a Gospel band as well as these guys." Ryan: "Learning more music theory and having guitar lessons has really inspired me. The guest visits, that I didn’t expect when starting, that we’ve had where we’ve got to hang out with and learn from top people like JD Simo, Aaron Keylock, Simon McBride have been awesome and really valuable on a personal and professional level. Learning recording techniques has been a huge for me as I knew nothing of that before so that helped us smash out our EP quick in the wicked studio at the HE facility." Jack: "The main reason I came to dBs was to be around like minded people who were serious about what they were doing and that’s exactly what I got. It’s definitely helped me grow in confidence as a singer, lyricist and performer." Kris: "Learning about the pitfalls in the industry like copyright, licensing has been really useful, that kind of industry knowledge is so important, especially for young bands as people may try to take advantage of you." Kris: "Ah man, the facilities are ace. It’s so cool to finish lessons and roll straight into rehearsal, plus we end up writing a lot together in lessons also. We recorded some early demos here ourselves but our EP we did at the HE site and is something we consider ourselves lucky to have. The Centre Manager organised that for us after he saw us play one time. They’ve got great gear and are real professional. Paul Fernie engineered, mixed and mastered our EP and it came out how we wanted it to sound - gritty, raw and in your face. We’ve got a single coming out soon that will be a bigger production which will be followed by another EP and then an album." Has it all been DIY for you or what help have you had? Ryan: "We’ve got great people behind us. One member of staff who has gone out of his way, call it ‘extra-curricular-to-his-job” if you like, in that he’s our Manager and does it all for the love of our music, trust and the steadfast belief he has in us. That you don’t find everywhere." Kris: "There’s been lots of people that have supported us, giving us opportunities to progress. We’ve had radio and podcast interviews, been in the local online press all as a result of our hard work and network. People that have gone the extra mile - staff offering to record us, helping promote us, offering support when times are hard. Everyone has had open arms to us, nobody has hindered us, it’s like a family." Ryan: "Yeah, we could sit here and name drop people as there’s been so much support which we’re grateful for as we really didn’t know what we were doing to start, we just wanted to play." Kris: "Oooh, we man’s got plans! We’ve got a whole load of gigs coming up, some we’ve mentioned already and others we can’t talk about as they haven’t been announced yet. Not all of them are in Bristol, or the county, or even the country...but that’s all we can say on that for now. Next imminent one in Bristol is opening for Global Battle of the Bands winners Firekind at The Louisiana on April 9 so get your tickets for that." 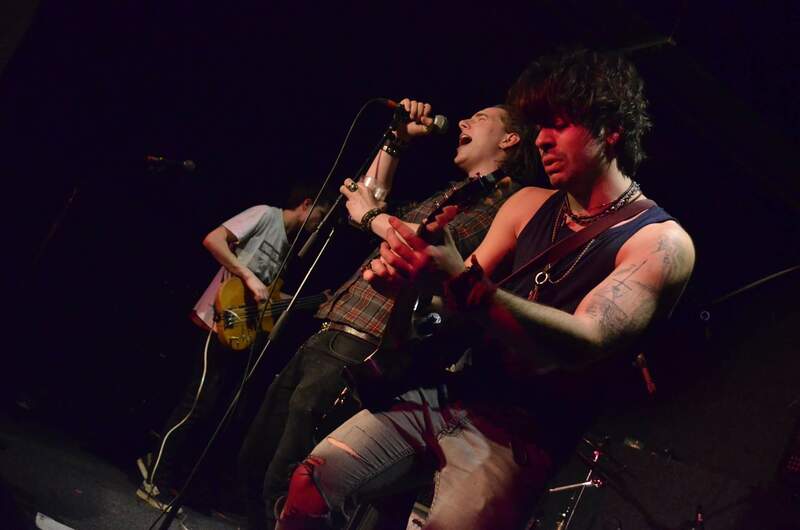 Jack: "Our dirty blues single followed by another EP later this year which is gonna be bigger than the first, it’s gonna blow your hair back if you have any, unlike our manager as he’s lost his dealing with us vagabond rogues!"